cellargourmet | Your lifestyle channel, reviewing the latest wines, recipes and local dining scene, and now movies! 2 cups beef broth (I use Jean Pierre’s Beef and Veal Stock, it’s the best. See http://www.chefjp.com for details) Season chops with salt, pepper and coriander. Heat oil in a skillet and brown chops on high heat for 3 minutes. Turn them, brown the other sides along with the garlic cloves and thyme sprigs. Everything should be nice and golden brown. Add the wine and the fruit, reduce by half, about 5-7 minutes. Add the beef broth, bring to a boil and simmer over low heat covered for 35 minutes, turning the lamb twice during cooking. 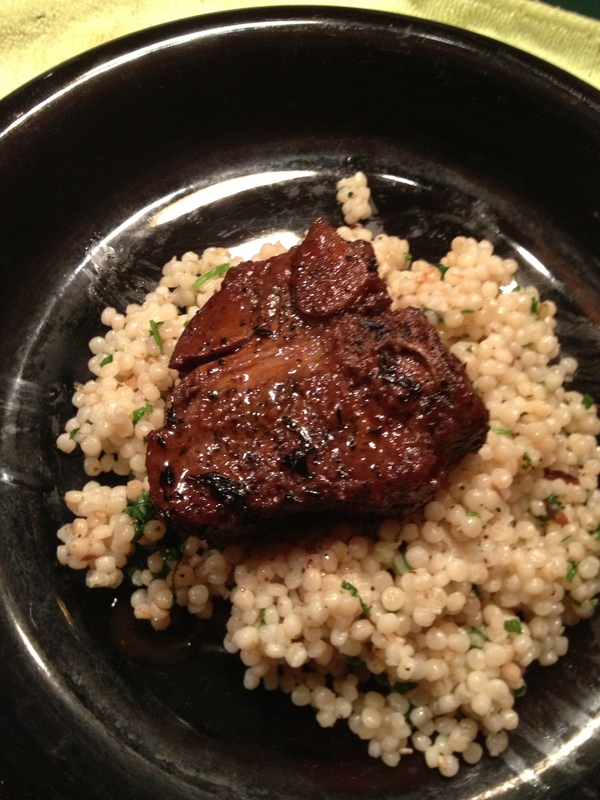 Serve with couscous. Denver is a real foodie town. 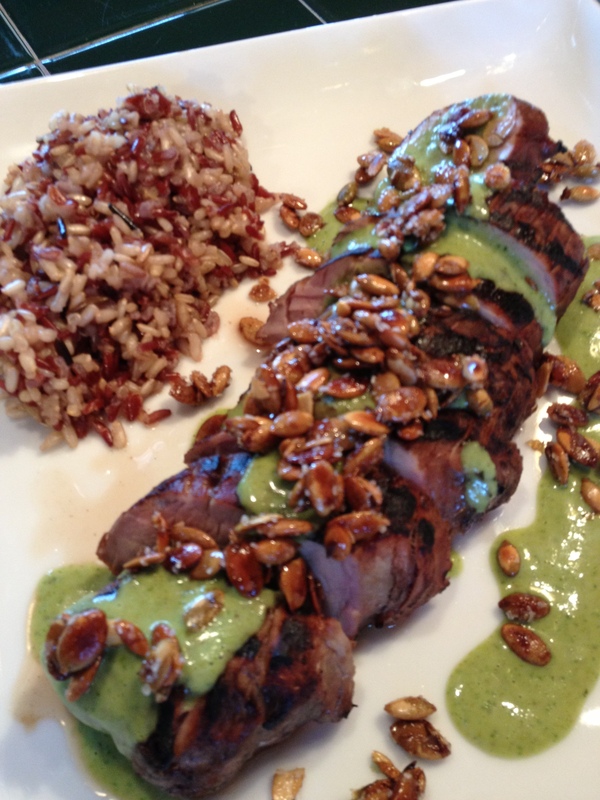 If you ever get there, be sure to stop in at Root Down and try the Green Curry Pork Tenderloin. It’s utterly amazing. It’s an odd combination of asian and mexican fusion, but the layers of flavor and texture give you that OMG moment. Make it easier on yourself and do the pumpkin seeds and curry sauce the day before (at the same time you marinate the pork). Then on the second day you are just grilling the pork and assembling everything. Serve it with a side of wide rice or farro. This is Steve R Morse in Fort Lauderdale with a new recipe that’s sure to be a favorite. Curry sauce (Saute shallot and garlic 3 minutes; add curry paste and lime zest cook 1 minute; pour in coconut milk, reduce by half – 15 minutes; let cool; transfer to blender. Add cilantro lime juice brown sugar and water; s&p. Blend until creamy; pour over grilled pork and sprinkle pepitas on top). This recipe is for Roasted Duck Breast with Orange and Ginger Glaze. Place the duck breast on a chopping board and with the tip of a very sharp knife, score a diamond pattern into the duck skin. Slice carefully, not to cut through the fat and into the breast meat. Rub salt and pepper into the skin of the duck, on both sides. In a saute pan, heat some olive oil and when hot sear the breast on each side and bake in a 375 degree oven for a few minutes (8-10) until the internal temperature reaches 155 degrees. Remove the breast and brush with the glaze (recipe below) and return in the oven and broil for a few minutes until the glaze turns mahogany in color. Let it rest for 10 minutes before carving and serving. Slice the breast according to your taste. In a sauce pot, add butter and oil when hot add shallots and saute. Add all the ingredients and cook for 20 minutes. Strain all the solids and adjust seasoning with s&p and adjust texture with a touch of cornstarch. At the last minute, add the butter off the heat. Serve. This is Steve R Morse in Fort Lauderdale with another recipe courtesy of Jean-Pierre’s Cooking School in Fort Lauderdale, where you can buy ALL the ingredients you need to make this wonderful dish. 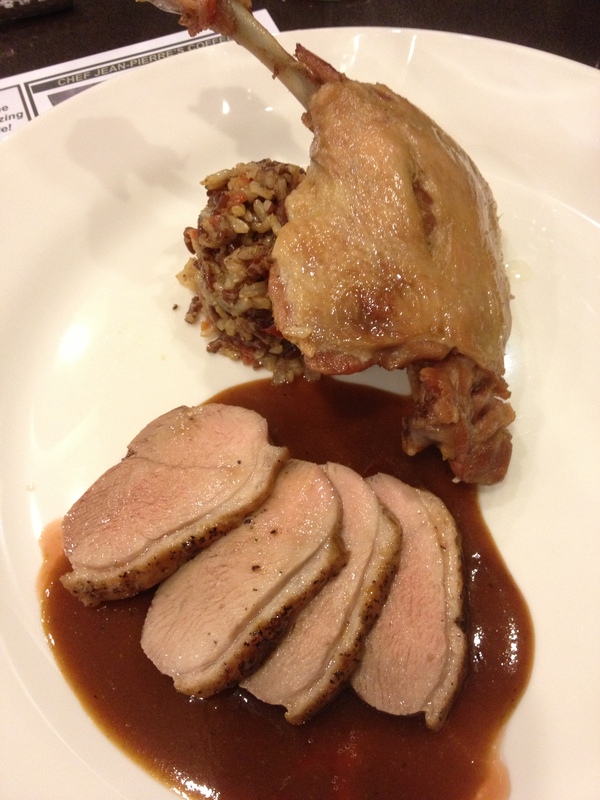 (Picture shown here with leg confit as well). The Sonoma Cutrer Pinot Noir 2008 is a great bottle of wine for the price (about $25). For those dinners that you want something a little bit more than white, but not too heavy as cabernet sauvignon, this Pinot Noir fits the bill. Silky smooth tannings is what this one is all about. It slides down your throat so easily it can be dangerous. The bottle will be gone before you know it. I paired it with my fish Roma recipe (see earlier blog post) and it married perfectly. It’s actually smooth enough to drink by itself without food. Either way, pick up a bottle or two. This is Steve R Morse in Fort Lauderdale with yet another Pinot Noir recommendation. Before we even get started I will tell you that I have come to the conclusion that I don’t like chicken thighs. And to the collective gasps of you purists, I don’t like chicken on the bone period. 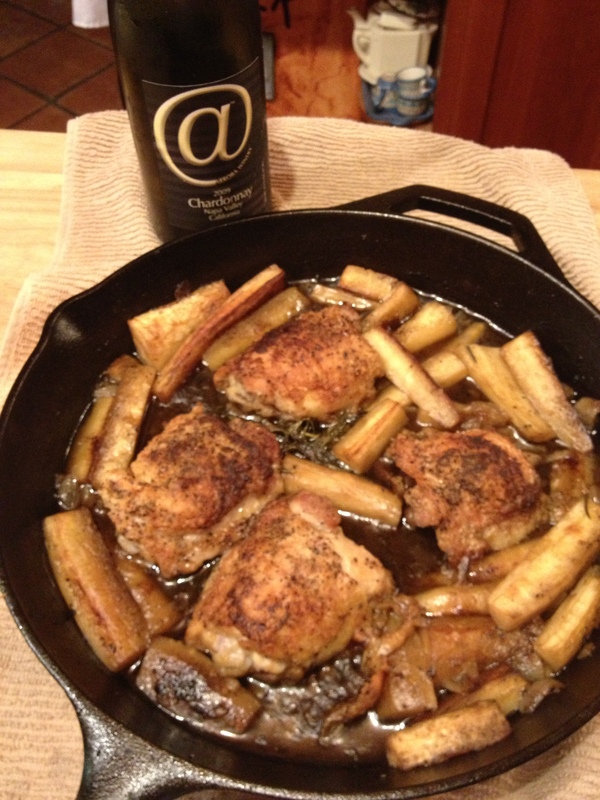 But just to see what everyone’s raving about, I did just that – made this recipe for Chardonnay-Braised Chicken Thighs with Parsnips – with thighs on the bone. It looks and smells terrific, just like the picture in October 2012 Food & Wine magazine. Let’s just say I will try it again next time with boneless breast of chicken and see what happens. 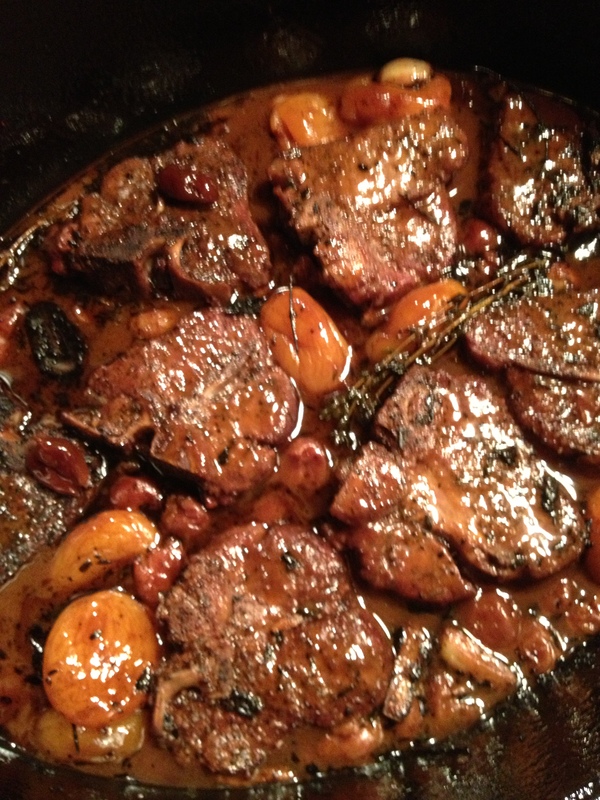 The flavor of the wine-based braising liquid and the parsnips is delicious. I don’t like the dissection of the bird from the bone part. Did I mention that? Maybe I should repeat it, again. 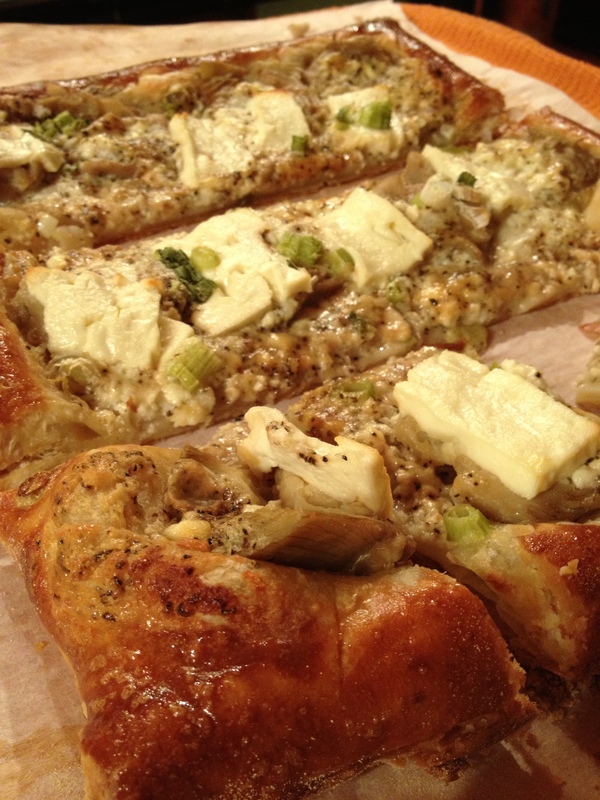 So here’s the recipe written as originally intended, but , well, you know….. This is Steve R Morse with a bird on the bone dish. 1 cup Chardonnay (I used Arroba Winery Santa Maria Valley Chard – made by Deerfield Ranch, with the rest of the bottle to drink). Preheat oven to 425. In an ovenproof skillet, melt the butter and the oil. Season the chicken with s&p. Dredge the chicken in the flour and, skin side down, and cook in the skillet on high heat to brown, about 6 minutes. Transfer to a plate. Add the shallots, parsnips and rosemary to the skillet, and cook, stirring for a minute. Add the chardonnay and reduce by 1/2, about 4 minutes. Add the broth and bring to a boil. Nestle the chicken between the parsnips, skin side up. Transfer to the middle rack of the oven and cook uncovered for about 30 minutes, until the chicken is cooked through. Garnish with parsley and serve.